The Adrenal Stress Test ASI is recommended for patients with chronic fatigue (CFS), ME, low immunity or when tested with CRA have weak adrenals. The test will determine what stage of adrenal exhaustion a patient is in, with other relevant indicators that help Dr. Cushing put together a comprehensive and thorough plan of action to get a patient back to normal levels. The Adrenal Glands are positioned just behind the last three ribs. The adrenals have one of the highest rates of blood flow per gram of tissue, & the highest content of vitamin C per gm. Of any tissue in the body. 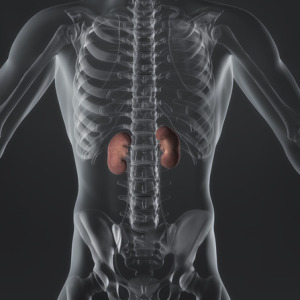 The adrenals are two glands weighing between 3 to 5 grams each & they are located just above the kidneys. Each of these glands is composed of 2 separate functioning entities. The outside, known as the cortex, accounts for 80-90% of the adrenal gland & secretes adrenal steroids (DHEA-S, cortisol, & aldosterone). The inside, or medulla, comprises 10-20% of the gland & secretes catecholamines known as adrenaline & nor-adrenaline. DHEA, Cortisol, & adrenaline are the 3 most important adrenal stress hormones. Abnormal functioning adrenals can alter the ability of cells to produce enough energy for every day activities. Patients who have a hard time waking up in the morning, or who suffer from low energy through the day, normally have abnormal adrenal function & erratic blood sugar regulation. To maintain a stable blood sugar level it depends on food choices & lifestyle together with adrenal function & insulin activity. The adrenal stress test ASI lab test measures the stress hormones & insulin levels in the body, to give us accurate picture of what is causing a patients fatigue, cravings & sometimes obesity. The adrenal function also determines how healthy our bones are. If cortisol levels are elevated during the night & morning, our bones suffer & bone regrowth will be inhibited, which makes us more prone to osteoporosis. Any form of stress can weaken our ability to rebuild our bone strength. In postmenopausal women, this effect of stress becomes more likely due to imbalances in female hormones. Abnormal adrenal function will compromise tissue healing, cause slow tissue repair & increase tissue breakdown, this will lead to muscle & joint atrophy with chronic pain. We regenerate skin cells during the night. When cortisol levels are higher during the night, there is a reduction in skin regeneration. So optimal skin health required normal cortisol levels. Our ability to enter into REM sleep & experience regenerative sleep is greatly affected by high cortisol levels during the night & morning. Chronic sleep deprivation can reduce a person’s mental clarity & can in some cases cause depression. White blood cells move in & out of the spleen & our bone marrow. This function of the immune system follows the cortisol cycle & if this cycle is disrupted especially during the night, the immune system becomes depressed. It is widely documented that long-term stress suppresses the immune function in many organs of the body causing a reduction in antibody (secretory IgA) & our resistance to infection & an increased risk of allergies. We are also at risk from short-term stress/shock. Cortisol at the cell level feeds in to thyroid hormone production. The symptoms of hypothyroid such as low body temperature & fatigue are associated with adrenal maladaptation. Chronic hypoglycemia is know to impair normal adrenal function because of repetitive overstimulation of cortisol production. This continued exposure to high cortisol will adversely affect insulin activity, & often leads to insulin resistance & beta-cell exhaustion (diabetes). The adrenal stress test ASI™ panel will investigate the insulin-cortisol connection in real-life conditions this will allow us to target & put together a plan for recovery. The adrenal stress test ASI test is also useful when patients are experiencing rapid weight gain, obesity, sugar irregularities, disordered blood lipids, you have just been diagnosed with diabetes & associated abnormal emotional health. Dr. W. Jefferies (author of Safe Uses of Cortisol) discovered that patients with environmentally triggered allergies & autoimmune diseases when given cortisol for other purposes improved overall. German researchers found that disruption of the adrenal axis & cytokine relationships lead to a predisposition & increased symptoms of autoimmune diseases. The adrenal stress test ASI™ will help identify patients with autoimmune diseases & adrenal issues who would beneﬁt from cortisol supplementation. Recently several new publications reported a hyperactive HPA axis in patients suffering with depression. When tested from saliva using the adrenal stress test, it is now considered one of the best ways to diagnose elevated evening cortisol that suggests patients are suffering with endogenous depression. Other abnormalities in cortisol rhythm also can accompany the midnight elevation. It should also be considered that disruptions with cortisol elevations levels throughout a normal day are connected with patients suffering with attention deﬁcit disorders (ADD). The anomalous cortisol ﬁndings in depression & ADD can also be diagnosed using the ASI™ successfully. HPA axis anomalies in CFS/ME patients’ showed impaired corticotrophin release. A direct result of low cortisol can eventually cause adrenal atrophy. Low abnormal functioning adrenals are reported on the results of the Adrenal Stress Test ASI™ panel. Once all test results are in, we will contact you & set up an appointment with the doctor to go over the test results & put together a suitable individualized plan to gradually improve the debilitating effects of CFS/ME or any of the symptom picture or conditions mentioned above. Also read report on: Chronic Fatigue or Fybromyalgia.